We are thrilled to announce our next event, TEDMED 2020, is moving to an exciting new home in Boston, and to a brand new spot on the calendar. We look forward to seeing you March 2-4, at the Westin Waterfront Hotel in Boston’s up and-coming Seaport District. Boston is the perfect home for TEDMED 2020, a city and a community with deep roots in pioneering new ideas and pushing forward innovation – much like TEDMED itself. We hope you make plans to join us at TEDMED 2020. This article was originally posted on inspirational news site Ever Widening Circles. Have you ever looked up the lyrics to a song? When you read them alone, they’re flat, stagnant, and lacking the feeling the piece is meant to elicit. But add tone, expression, and a few instrumentals to the equation and you’ve got a piece overflowing with emotion and character, lifting those words into a new meaning. So, if only those lyrics are being interpreted for the deaf community, to what extent are they being included in the art form? Here’s one of the people bridging this gap between the auditory world and the visual by expressing the emotional power of music through a special variation of American Sign Language (ASL) created specifically for music. For years, Amber Galloway Gallego has been interpreting songs, both live at music festivals and on her YouTube channel, with this dynamic variation of sign language. So, how does it work? Here’s Vox with the story. Just a warning for sensitive ears, there are a few f-bombs dropped midway through. The multitude of ways we’re able to communicate and share experiences with one another is one of the aspects of humanity that truly sets us apart from the rest of the animal world. Music is one of our oldest and most expressive forms of communication. It’s a part of who we are, so why should the ability to feel the emotions it conjures be limited to a specific group of us? To see one example of how she truly expresses the music, take a look at Amber’s interpretation of Michael Jackson’s song, Beat It, from her YouTube channel. You can learn even more about how Amber Galloway Gallego found herself with this knack for music interpretation and what drives her to keep going in this wonderful feature from the Houston Chronicle. Be sure to explore the rest of her YouTube channel for more amazing interpretations and, as always, stay open to new possibilities! Medgadget: If I gave you $1 billion to develop a product of any kind, what would you create? Facebook, Google, Uber, Grubhub, Siri, video games – we’ve solved these UX and data entry problems many times over. With $1B I’d unleash that on EHRs and disrupt that entire industry. Bettina (in the middle with a camera) poses with two puppateers and their puppets from the Takalani Sesame production. The two puppets are Neno (Elmo for US audiences) and Kami (South Africa’s HIV-positive muppet). In addition to her ongoing communications work with Another Option, our consultant Bettina has been hard at work with some new furry friends! Over the last few months, she has been supporting Sesame Workshop’s launch of a new vision, strategy, and program office in South Africa. Known as Takalani Sesame (Be Happy, Sesame in Venda), the South African co-production of Sesame Street has aired since 2000. As the program gears up to produce another two seasons of the children’s show, Bettina is supporting the South African team in a variety of ways including branding, report writing, photography, and social media outreach. 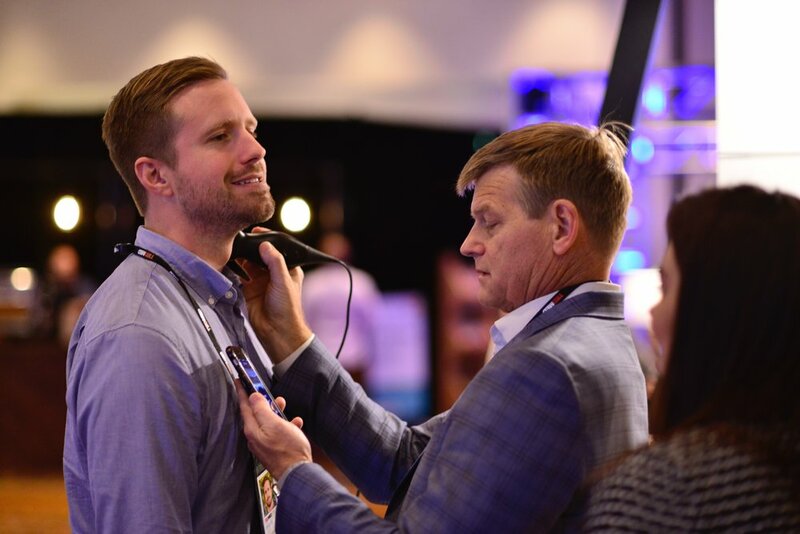 The TEDMED conference provides a shared space for leaders in health and medicine to come together and share ideas. At TEDMED 2018, attendees the power of Chaos + Clarity to advance science, global public health, and medical innovation across a wide range of topics. 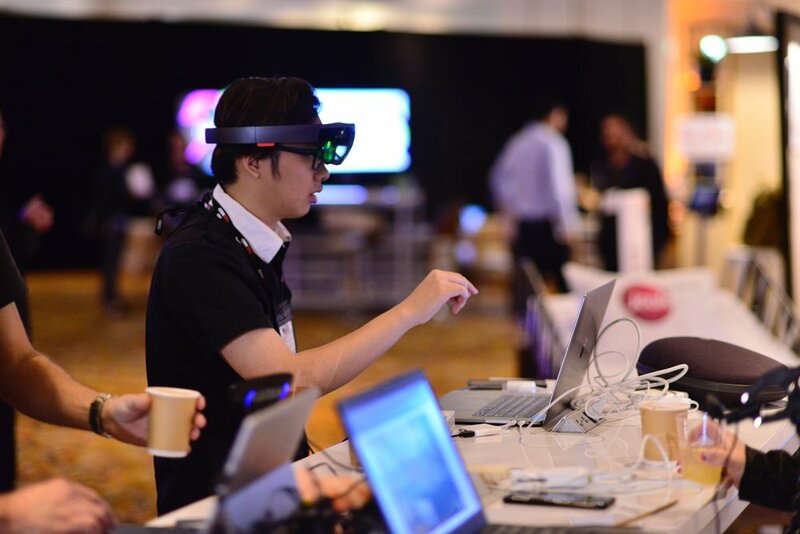 Events explore the technology, creativity and innovation that contribute to a healthier future. 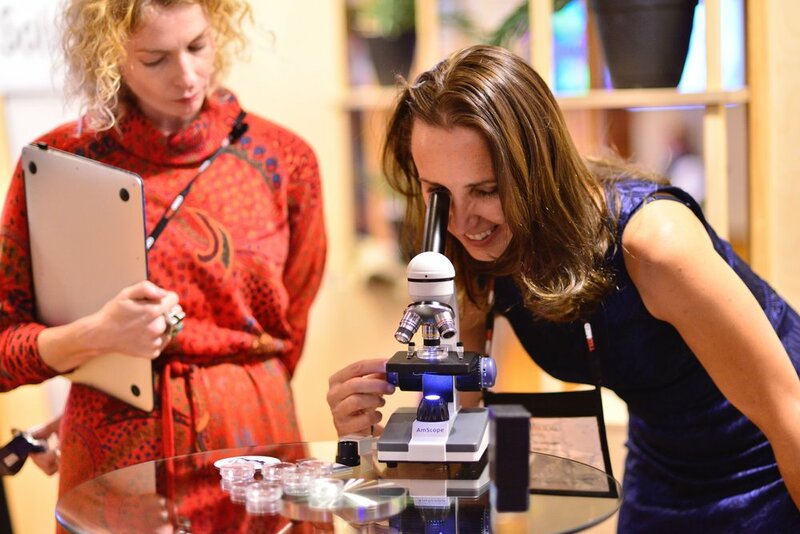 Transformative startups and inspiring entrepreneurs also play an important role in the annual conference, sharing innovations with the TEDMED family. Since 2013, Another Option has been a partner with TEDMED managing media relations for TEDMED’s annual meetings. Media coverage has ranged from NPR, Washington Post, BBC, Fast Company, STAT, and professional media for widespread coverage on TV, blogs, and social media. Another Option’s Prabodh Acharya at Annapurna Base Camp. Over a recent holiday, Another Option’s Prabodh Acharya, project manager of the Nepal Early Grade Reading Program, trekked to the Annapurna Base Camp at the foothills of the Himalaya Mountains in Nepal. 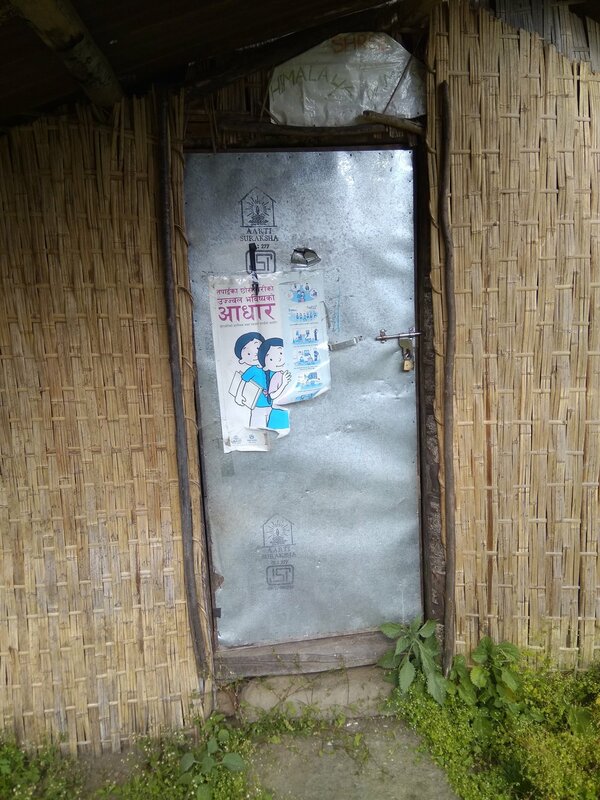 During the trek, Prabodh saw something really interesting in a small, isolated village – a poster developed by Another Option from two years ago! The poster was part of a nationwide campaign to promote early grade reading and was found on the front door of a house in a village only reachable by foot. The work to promote early grade reading for all children in Nepal continues – and it’s moments like this that motivate us to keep promoting such an important behavior for children and their families across Nepal. Ms Sita Gyawali, an advocate for people who are blind in Nepal, shared her experiences reading as a child. The Another Option team in Nepal has recently finished a whirlwind of interviews of leaders and leaders passionate about promoting the importance of reading to children and their families. The radio program is a continued partnership with the government of Nepal’s Ministry of Education, Science and Technology (Modest) and the USAID-funded Early Grade Reading Program that began in September 2016. The six new radio programs targeted to parents and teachers of students in grades one and two will begin broadcasting in early 2019. 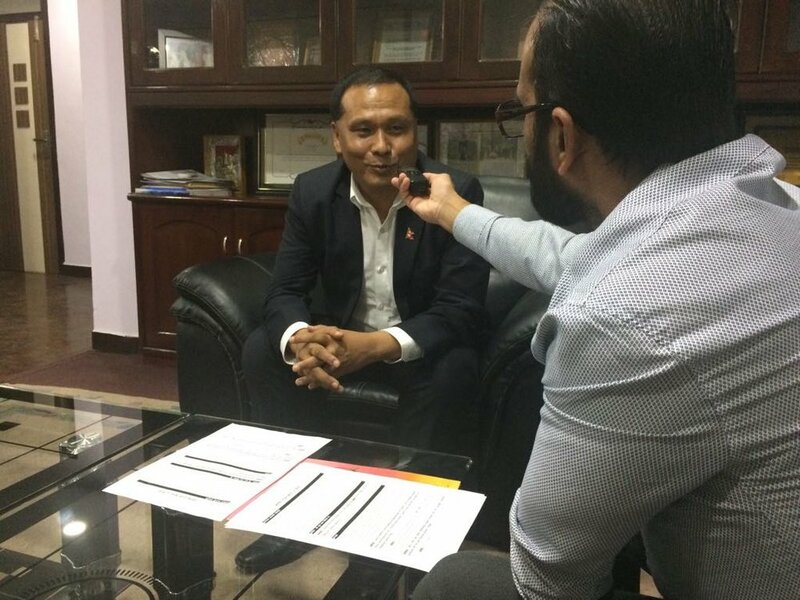 For this season, the program team interviewed two Nepalese leaders: managing director of Nepal Electricity Authority, Mr. Kul Man Ghising, and community activist for the blind, Ms. Sita Gyawali. Mr. Ghising has played an instrumental role in the past few years in addressing national challenges with electricity. His work within the Nepal Electricity Authority has contributed to a significant reduction in load shedding across the country. The second guest, Ms. Gyawali, was the first visually impaired woman in Nepal to complete her Master’s degree. Since returning to her home after her studies in the US through a Fulbright scholarship, she has created a library and community center for the visually impaired. Each guest shared their experiences with reading as a child, emphasizing how it has helped their careers and how parents can help their children learn to read. After each interview, they each also read a short story provided by curriculum specialists (and project partners) at Nepal’s Ministry of Education, Science, and Technology. This is the second round of radio based programming coordinated by Another Option in Nepal as part of the Early Grade Reading Program. The first round of programming, broadcast nationally, was found to have had significant reach across Nepal. Overall key findings identified that 57.1% parents and 81.9% teachers had listened to radio PSAs, and 39.1% parents and 50.5% teachers had listened to the radio program "Ramailo Padhai, Digo Sikai" (in English, Reading is Fun). . A study also showed that 24% parents and 34% teachers had listened to the radio drama "Ujjwol Bhawishyako Suruwat" (in English, Beginning of a Bright Future), and 21.9% parents and 49.2% had listened to the 'guest reader' segment of the radio program. Parents from Banke, Saptari and Kanchanpur districts said that they had listened to the radio PSAs in their local languages as well. The Early Grade Reading Program is a five-year project to support the Ministry of Education, Science, and Technology to improve the foundational reading skills of Nepali primary school students in grades one through three. Another Option provides technical assistance in social and behavior change communication with an emphasis on mass media, advocacy and public awareness to increase family and community support for early grade reading.